Life is full of risks—even for the careful. Storms hit, accidents happen. While you can’t prevent the unexpected, you can cushion the financial impact of bad events. 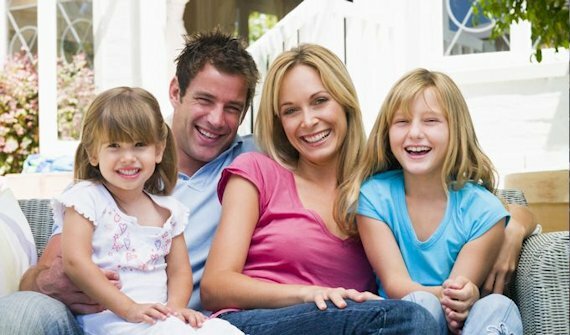 Krell Insurance Services works with individuals each day to make sure they have adequate insurance coverage. You may get hurt; your property may be damaged or stolen. If you or your child or your dog hurts someone else, you may be sued. Any of those occurrences could ruin you financially, but with advance planning, you can be protected. To find out how much protection costs, contact us to get a free personal insurance quote. We don’t expect you to walk into our office and tell us what insurance you need, rather we want you to tell us how you live your life. Where do you live? Own or rent? Do you drive? Car or motorcycle? What do you do for fun? Head to the cabin? Bring your boat? ATV? Snowmobile? Does your employer provide any insurance benefits as part of your compensation? After getting to know you, we can identify likely risks and the financial consequences of these risks becoming reality. In addition, we can advise you on ways to limit your risks and limit your financial exposure. We can determine what insurance best suits you and your lifestyle, give you personal insurance quotes, and you can get on with living life. Something happens to you or your property. You harm another or cause damage to another’s property. To protect themselves, people pay insurance companies premiums. These premiums are pooled and invested, then used to reimburse policyholders when risk becomes reality and causes loss. In other words, insurance doesn’t prevent risks, but helps you manage the financial impact. Policies are available for homeowners and renters, whether in freestanding homes, townhomes, condominiums, or rental units. Costs and coverage depend on these factors and others, such as location and safety features. Costs to repair or replace your vehicle, whether damaged in a collision or otherwise. Costs stemming from property or personal injury you cause with your vehicle. State law requires you to get a minimum amount of car or motorcycle insurance. After evaluating the risk, however, savvy consumers often increase their insurance coverage. They also insure recreational vehicles such as RVs, boats, snowmobiles, and ATVs. We can help you assess your risk and provide free personal insurance quotes. We will find you the right coverage at the right price. We know companies, their policies, and discounts commonly offered. And, most importantly, we don’t quit when you buy a policy; we offer continued assistance as your needs change and as you navigate the tough times. Count on the experienced agents at Krell Insurance Services for competitive quotes followed by the service you expect when you need it most. Stop by and see us at 209 S. Main Street in downtown Verona, Wisconsin, or call us at 608-845-2666.